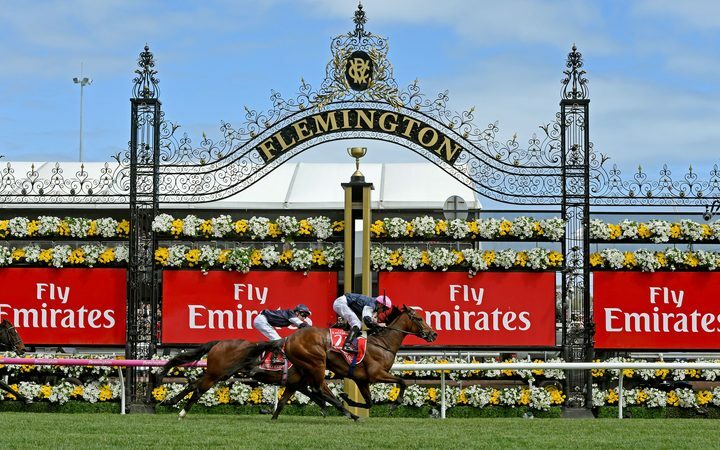 It’s that time of year again, the first Tuesday in November is upon us, which means all eyes will be on Flemington Racecourse at 3pm. Nearly every man, woman and child will be putting a bet on the race that stops the nation! Whether it’s an office sweep or a quick trip to the nearest Tab outlet, punters are expected to place millions of dollars on the famous race! So what should you bet on? Well….that’s not for us to decide. Instead of giving a comprehensive runner-by-runner preview of each horse and letting you decide who to back, we’re going to tell you where to find the best value. First of all, if you’re a mug punter and just want to place a standard bet, there’s no better place than Betfair. Why? Because Betfair almost always has the best odds. For example, a $10 bet on Ace High to win at Tab would return $610 if it won. 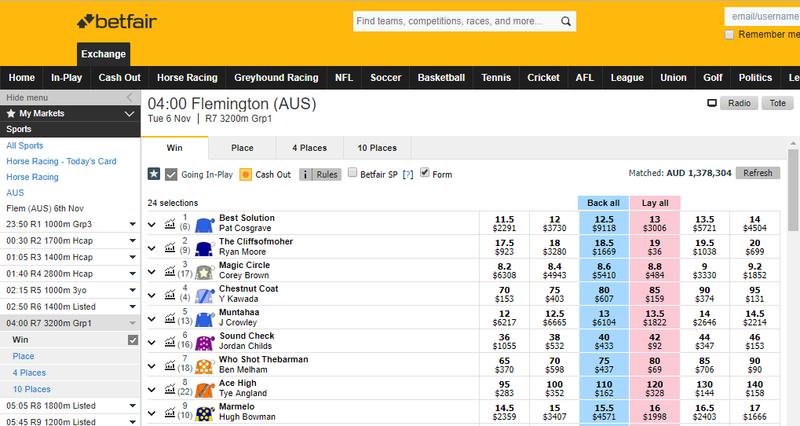 The same bet placed at Betfair would return $1200 (minus commission)…..that’s nearly double the return! Now, if you’re like us you won’t be placing any mug bets because, well, that’s for mugs. Instead, you’ll be taking advantage of the bookmaker promos on offer. Pointsbet – Run Top 5 for The Melbourne Cup at Flemington on Tuesday 6th November, get money back as Bonus up to $50. Unibet – Get up to $25 (as a racing bonus bet) if your first win bet on the Melbourne Cup finishes 2nd or 3rd. You could also take advantage of these promos by backing a horse at the bookie and then laying it at Betfair. These two bets will roughly cancel each other out, so you won’t make any money if the horse wins, but if the insurance kicks in you will make a profit. This is a low-risk, high-return strategy that we explain more in our tutorials. If you are looking for even more value, Bluebet, BetEasy and Sportsbet all have an odds boost feature that you can use to increase your returns. The Melbourne Cup is a fun event which brings people together over a punt but, even if this is your only bet of the year, that doesn’t mean that you shouldn’t still be looking for the best value. By following the advice above you will automatically be betting smarter than 80% of punters. If you are a more regular punter, being in the top 20% probably isn’t good enough. You need all of the available tools to make a long term profit. For that, you need to sign up to bonusbank.